Love is in the air...and Some Big Fun News!!! Since registration for Art is You 2011 opened I have been getting soooo many emails...peeps wanting to know the little details and stuff like that...or gals just touching base to let me know that they've signed up or soon will be once they figure out their calender. I know it's still quite a while away but I'm so excited for it! Can't wait to see new faces and to reconnect with friends from last year. So keep the emails coming...if you're sitting on the fence or whatever...heck, maybe you're trying to find somebody to room with so you can split the cost...maybe I can play matchmaker...who knows?! Here in Jersey we're still covered in snow. Last week's blizzard just got a couple more inches dusted on top and there is quite a chill in the air! We've got Mexican pups, bred for the warmer climates...yes, that old cliche, the shivering, shaking Chihuahua is true. But our guys are pretty used to the snow now. They walk outside and they're like "oh yeah, this pain in the neck white stuff...oh well." ...and then they go about their business. But that's not to say that they can REALLY handle it. Midway through the walk Carlos will stop dead, pick up one foot, hold it in the air, and stare at Aaron...this stare and this raised hand are his ways of saying to Aar: "Dad, pick me up. My feet are too cold to walk any further." So Aar picks up Carlos, rubs each individual foot, blows his hot breath on each one, and after about a block's rest from the cold asphalt he then places Carlos back down and he trots with glee, feet restored to working temp. It's adorable. And the little guy Jack is a different story. When you tell him that it's time for a walk he gets all excited...but then it seems like he remembers how cold it is out there...and within a second he is burrowing his way into the back of my closet! Hiding I guess...but really just delaying the inevitable. But what's great is that once he's outside, he is a little TROOPER! He never asks Aaron to pick him up, never raises a cold paw...just runs around like a nut...well, he does whine if Aar and Carlos don't keep up the proper pace...He's a quick little guy! 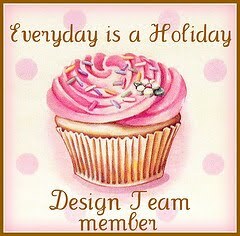 The Everyday is a Holiday Design Team!!!! Our Springtime Greeting kit...Wow, we really loved this one! And a lot of other peeps did too. We totally ran out of 'em in a week! And there was Let Them Eat Cake. That one was from Silver Bella. 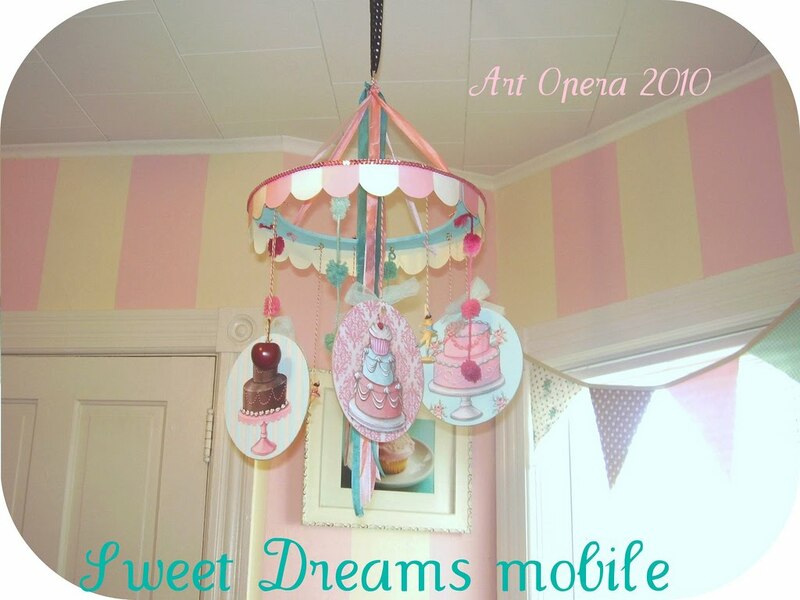 and our Sweet Dreams Mobile and Beaux Gateaux were both from Art Opera last year. We just have so so many ideas!!! But I don't want to give away too much right at the outset. We're working hard on Inspiration Kit # 1. 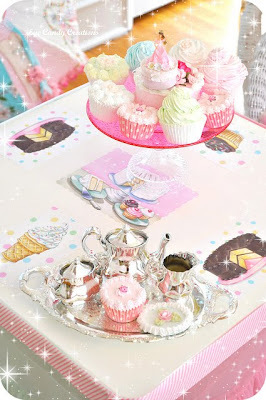 Which will then find it's way into the gifted hands of our brand new Everyday is a Holiday Design Team!! Aaron and I are just soooo excited!! It's an idea we've been baking for a while and now was just the right time to get it out of the oven! Each of these ladies possess a big dose of Magic...all are uniquely creative... super stylish stylists... and all around Elite Aesthetes. If you don't already know them...now's the time to go visit their blogs. So thrilled to put our art in their hands to see what happens! 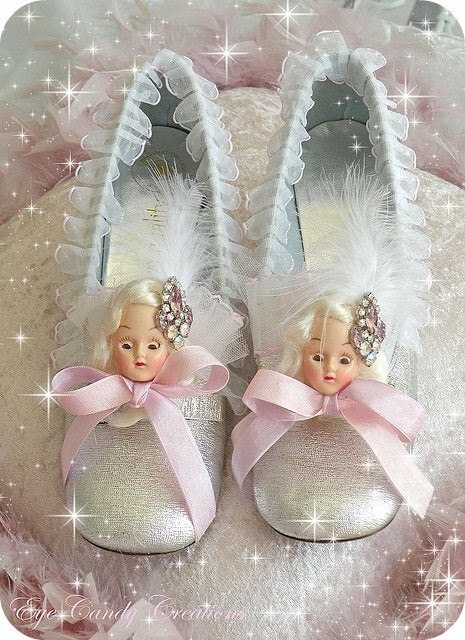 They are sure to dazzle & inspire! I'll share more specifics with you guys very soon! I just couldn't keep this to myself. In the next few posts I'll be highlighting each and every one of these fab ladies so you get to know them and their style beforehand. 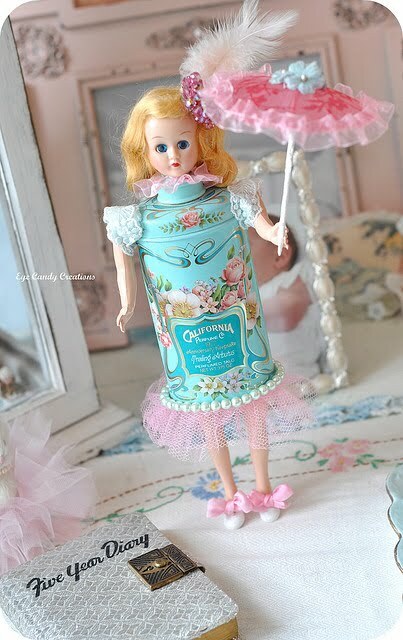 Fanciful and whimsical is what best describes Jennifer Hayslip's assemblage creations. Jennifer is a self taught altered assemblage artist that enjoys creating vintage inspired 3D collages and paper arts. 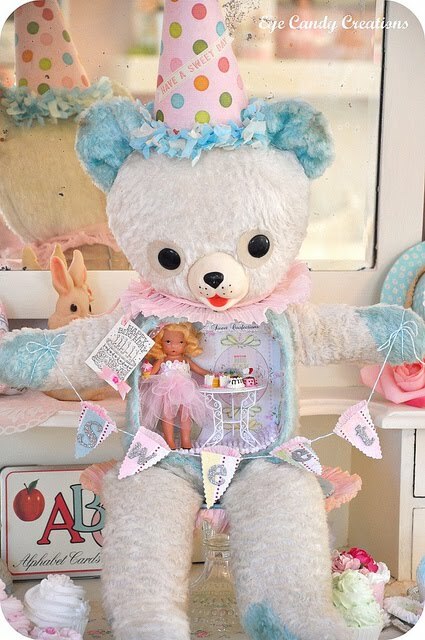 She loves collecting and creating with vintage found objects, and putting lots of charming details into every piece. 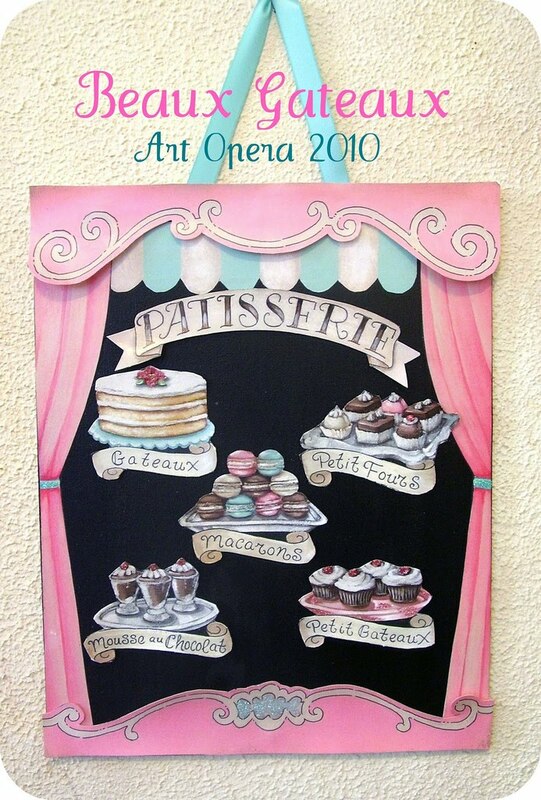 Jennifer also has a passion for decorating and hosting art workshop events. 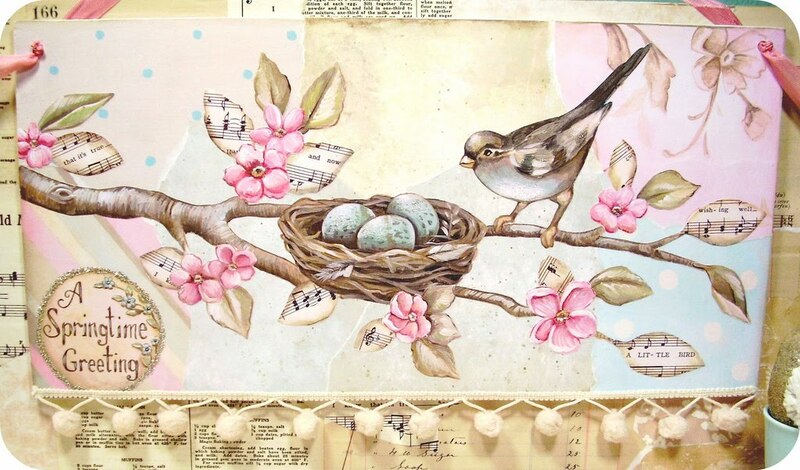 Her home and her artwork have been published in several publications including Romantic Homes, Romantic Country, Artful Blogging, somerset Life, and more. We've been online friends with Jenn for a long long time and we were lucky enough to spend some time with her in our class at Silver Bella... AND she actually took a vacation to the Jersey Shore and me, Aar, my Sis, Jenn & her husband Curtis, and some other friends met up for dinner and had a smashingly great night! I LOVE breaking the fourth wall of online friendships and hanging out for real! Jenn really is as sweet as her artwork looks...I know that sounds too easy to say...but in her case it's absolutely true! I am so so excited to have her on the team!! 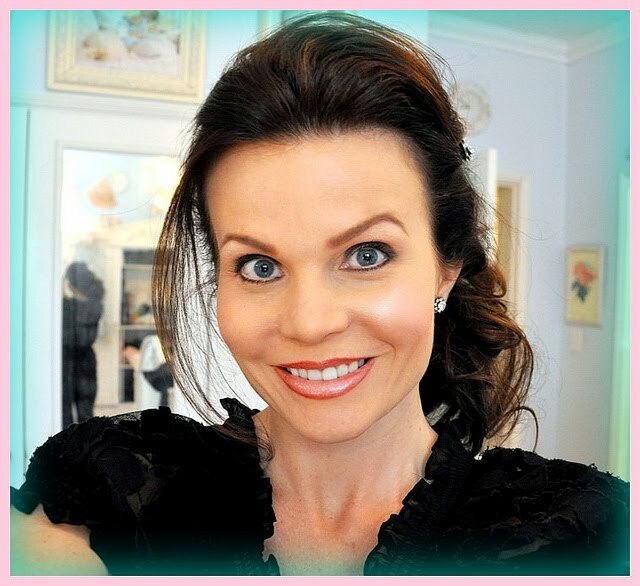 Hi Jenny...wow, you are blogging again! So glad that I stopped by. 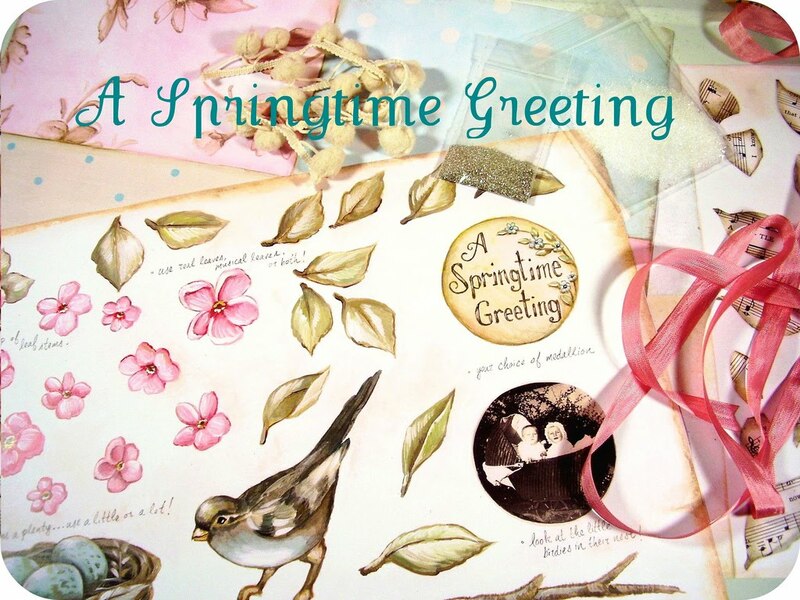 I love the Welcome Springtime...can't wait to see what you guys come up with next. More snow....I don't know anyone who is rejoicing in that revelation...can't wait for Spring. I am in desperate need of tulips and robins!!! I live just outside of Chicago so I know cold and I have a Chihuahua. My pup does both things your dogs do. She walks for a while lifts a foot and has to be carried home too. She also knows it's cold and refuses to go out but once she's out she's happily trotting away. Silly pup! I love your kits! Especially the mobile...sweet! Eeek!! I love this post!!!! Your blog looks amazing, I love it! So bright and happy :) Just like you guys! 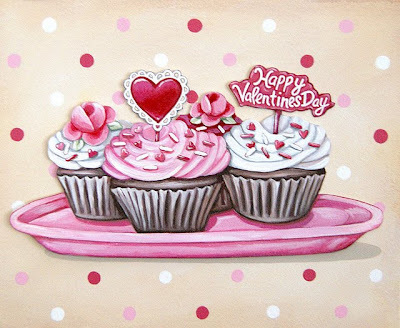 And I love the redo of the Valentine Cuppies!! Your design team is amazing!!! I cannot wait to see what these talented girls do!! I am a huge fan of Jenn and I know whatever she does, it will be fab!! So excited for your guys!! Everything is so neat here. I love your line up for your show. We are having a blizzard here and I LOVE it! The snow is so pretty! 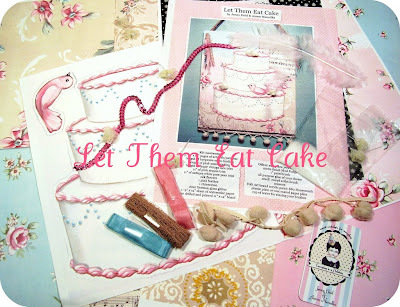 Lovely looking kits you have made...really love your talents here! 2011 is going to be the year of Jenny and Aaron. You guys are off to a great start and I know it will only get better! Its so sweet that the boys wanna be picked up and not like the snow! I don't blame them....I don't like it either! How fun your new kits sound. And your design team is wonderful, some I know, a few I need to go "meet". I actually clicked over here through Natalea's blog! May you have a delightful and creative New Year!